Image design by Stephanie Blackman. To say that a company’s or individual’s choice for white-collar defense counsel is an immensely important decision – perhaps among the most important in the life of a business or person – is hardly an overstatement. Unfortunately for those facing a civil enforcement action, criminal investigation, or both, the choice of counsel has become increasingly complex and high-stakes in the globalized economy. Many companies face scrutiny by multiple agencies within their home terrain and in the various jurisdictions in which they operate, creating a maze of regulatory and investigative burdens and potential pitfalls. Such scenarios, however, are exactly what the Dechert team is designed for – and where they thrive. For this Roundtable, Lawdragon brings together London-based Gerrard and his fellow co-practice leader, David Kelley, who is based in New York; both were police officers earlier in their careers. Joining the discussion stateside is Hector Gonzalez from New York and Vincent Cohen from Washington, D.C.; like Kelley, both partners are former federal prosecutors, and Cohen is the former acting U.S. Attorney for the District of Columbia. London partners participating in the discussion include Caroline Black, who has helped build the U.K. team since joining Gerrard in 2011; Matthew Cowie, who was a prosecutor in the Serious Fraud Office before heading to private practice; and Roger Burlingame, another former U.S. federal prosecutor who established his private practice in London. Lawdragon: Let’s start with what you are seeing with the state of the practice now – what appears to be its global and increasingly complex nature. Neil, as a practice co-chair, can you comment on this with a thought to how your work has changed since earlier in your career? Neil Gerrard: Throughout my career I have handled investigations and prosecutions of every type, and there is a marked difference in the nature of my practice now from when I started out as a lawyer. It is partly a matter of scale, and also partly one of scope. These investigations now span continents, take years to resolve and involve dozens, if not hundreds, of parallel and competing strands. The internationalization of investigations and prosecutions has been a very important change. You simply cannot now separate a domestic prosecution or investigation from what is happening elsewhere in the world, which is why clients need counsel who are culturally nuanced and have a geographically broad reach. Lawdragon: And David, as another co-leader, I assume you have a somewhat similar view from the U.S. side – and do you have thoughts as to the cause of these developments? David Kelley: Many of the matters in which I am currently engaged are related to compliance, as were many of the cases I handled in my early days of private practice. But as the enforcement environment has evolved over the years and has become much more aggressive, I have seen a much greater sophistication and compliance IQ than in past years. Consequently, I think many of the investigations and problems are much more nuanced and complicated than they were even four-to-seven years ago. As for the global question, I think many factors are involved, and which led the other is a chicken-and-the-egg question. In many ways, what we are seeing is both a natural outgrowth of a global economy, and the realization by many markets that a corrupt market is not a sustainably profitable market. The United States has led the charge in bringing integrity to the marketplace, but other countries and international organizations have followed suit based in some part on this realization. Multinational companies in turn have slowly come to the realization that not only is good compliance good business, but it also helps you better protect the company from the various enforcement authorities. Vincent Cohen by Laura Barisonzi. 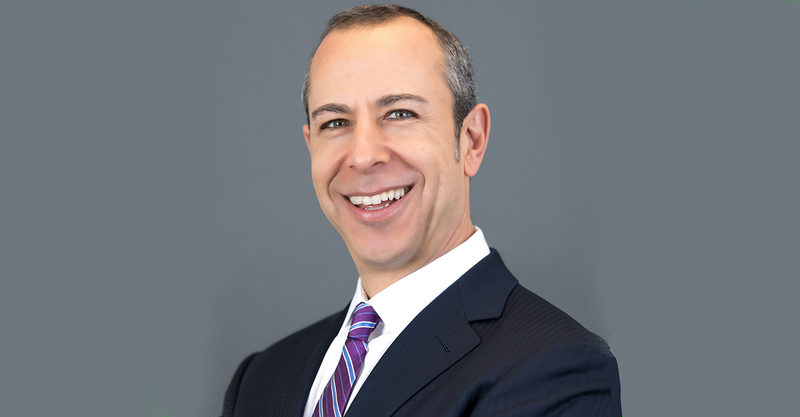 Vincent Cohen: I will add that white-collar investigations nowadays differ in a number of ways from when I started practicing 20-plus years ago. For one, the government has more resources and, as the government’s resources have expanded, so have the scope and complexity of white-collar investigations. Related to this, the government’s investigative techniques are also now more developed and complex. For instance, as I noted in May 2018, when I appeared on a panel during the Bloomberg Law Leadership Forum, the government’s use of technology is increasingly sophisticated. Furthermore, investigations and prosecutions are increasingly complex and accelerated as multiple agencies collaborate and share information. Domestically, it is not unusual for multiple agencies such as the Department of Justice, Securities and Exchange Commission and the Commodity Futures Trading Commission, for instance, to collaborate on one investigation and bring parallel civil, criminal, and administrative proceedings. Within agencies, the historic dichotomy between criminal and civil attorneys is blurring in favor of coordination. For instance, nowadays it is the norm for civil attorneys within the DOJ’s Antitrust Division who notice something unusual to alert their criminal counterparts to investigate. There is also a lot more international coordination with enforcement agencies in different countries, such as the U.S. and U.K. collaborating and sharing information during investigations. This means there continues to be a tremendous need for the solutions white-collar attorneys offer, but it also means that we need to keep up with the ever-changing techniques and strategies and continue to develop creative strategies to better protect our clients. Lawdragon: To stay domestic for a minute: It sounds like President Trump’s more business-friendly rhetoric, or any sentiments less favorable to aggressive regulatory efforts, have not really had an impact? Hector Gonzalez: Anecdotally, we have seen a decrease in the frequency and intensity of anti-corruption enforcement since the election. However, I do not see this as deliberate government policy. How would anti-corruption initiatives be inconsistent with a business-friendly environment? To my mind, it is more to do with the fact that the administration is struggling to fill some senior positions. The vacancies often prevent projects from moving forward, and I think this is why we have seen less activity from the major agencies. Lawdragon: Turning back to the U.K.: Roger, you bring an interesting perspective having been a senior federal prosecutor in New York and then taking your talents in private practice to Dechert in London. Was your move overseas rooted in these trends? Roger Burlingame: When I was looking to make the switch to private practice, I thought there was a need for someone with my background in London. All of the U.S. regulators in the white-collar space are taking an increasingly international approach, and as one of the world’s three financial centers, London is a primary focus of that activity. As a result, for the last five and a half years, me and my London-based team of U.S. lawyers have been incredibly busy. We’ve worked on financial crimes – front running, antitrust, price fixing, money laundering and market manipulation (a lot of spoofing of late!) – as well as Foreign Corrupt Practices Act (FCPA) violations, sanctions evasion, and tax evasion. Basically, all the areas where the U.S. comes after companies and people overseas. We’ve represented companies and individuals being investigated by or prosecuted in various jurisdictions throughout the U.S., and it’s been incredibly useful for our clients to have the same experienced white-collar practitioners that they would hire if they were sitting in New York or D.C. facing the same problem, but with all the advantages of having me and my team down the street (or at least in a much closer time zone). Well over 50% of my cases involve multiple regulators, and there are always challenges in making sure that what a lawyer from one jurisdiction insists must be done in their jurisdiction does not cause problems in a different one. It’s critical to spot these issues early, and to understand how to motivate a diverse array of international lawyers, some of whom may not be versed in cross-border investigations with multiple regulators, to work in a way where everyone is truly committed to the best resolution for the client overall. It’s a dynamic I face in case after case after case, and while it can be hard, it’s incredibly gratifying to solve it and lead a truly international team of lawyers to work as just that – a real team. Caroline Black by Chris Renton. Lawdragon: Caroline and Matt, can you also weigh in on what is occupying time on the London side of the practice? Caroline Black: There is a continued focus on bribery and corruption by the U.K. and U.S. authorities. What is notable is that authorities from countries in Europe and South America are also now involved, seeking to prosecute companies and individuals for this behavior. Corruption is a global issue, so it is not surprising that the response is becoming increasingly global. There are also more prosecutions of individuals on a U.K. and international basis. In the U.K., we’re seeing an additional focus on money laundering and asset seizure following the passing of the Criminal Finances Act of 2017. This act provided for the use of unexplained wealth orders, which makes it far easier for authorities to pursue individuals and organizations suspected of misappropriating funds through potential criminal conduct. The act also provided for a corporate offense of failure to prevent the facilitation of tax evasion, bringing vicarious liability to companies for the actions of their employees and agents in respect of tax crimes. Matthew Cowie: I would add that in the U.K. we’re seeing a resurgence of revenue recognition issues. That’s not surprising; we’re in a downturn in the economy, and we’ve had years of austerity with low growth. Fraud can be countercyclical. In the downturn, there can be pressure on finance departments and CFOs within companies to deliver good results. We’ve seen a number of such matters in the U.K. in recent years – with Tesco and Autonomy – these types of cases tend to occur when people are under pressure to produce good results for shareholders, and revenue recognition is an obvious area where there could be financial manipulation. On the corruption side, we’re seeing a number of the OECD (Organization for Economic Co-operation and Development) countries responding to overseas corruption. We are working with the French who have implemented their own deferred prosecution agreement system and are bringing cases. Nonetheless the U.K., U.S. and European deferred prosecutions are not the same; they have been implemented in different countries responding to their own particular legal cultures, which brings challenges to giving advice when you are working on a multijurisdictional case. As a general matter the trend we see is growing flexibility of legal systems to deal with corporate liability and an uptick in enforcement in European countries. Lawdragon: Overall, where is the market at for white-collar work in the U.K. or Europe generally compared to the U.S.? Gerrard: Compared to the United States the U.K. market is still developing. If a client goes to a law firm in the U.S. they can expect a good level of experience, but there is more of a risk in the U.K. There are still too many lawyers who are re-branded former litigators without a specialist white-collar background. Nothing is more important than having specialists: liberty and reputation are so important to people, and to protect these things you have to be steeped in white-collar practice and culture. I would say that the U.K. is currently five to seven years behind the U.S., and Europe is five to seven years behind the U.K.
Lawdragon: Hector, to follow on what Caroline said, what are you seeing on the Latin American side? Hector Gonzalez by Laura Barisonzi. Hector Gonzalez: There has certainly been an increased focus on anti-corruption compliance across Latin America in recent years. In Brazil, we have seen some very large-scale investigations, and that has created a sharper focus on anti-corruption for clients with interests there. Mexico enacted a new anti-bribery statute in 2017 and this has generated intense interest for our clients doing business in Mexico. There has been a focus on this issue in those two countries, but the effects of this trend are also being seen across the rest of Latin America. Lawdragon: David mentioned an increased maturity on the compliance front. But what mistakes are you seeing with what companies still do? In commenting, can you also share some thoughts on what constitutes best practices for companies and individuals – and what might be viewed as best outcomes for clients? Black: We still see attempts to downplay or deny the seriousness of criminal conduct; corporations attempting to minimize problems or not wanting to investigate issues properly. This is a high-risk strategy and not one which we would commonly advise for a corporate, as criminality is brought to the attention of the authorities in an increasing number of different ways. Companies which have not properly investigated, remediated and reported any issues run a much greater risk of prosecution when the authorities do find out, and are in a weak position when seeking to negotiate a non-prosecution resolution. For individuals, seeking to minimize or ignore a problem is never a great way of dealing with it. We often encourage clients to take a proactive approach as far as possible, as waiting and doing nothing can often mean losing any chance to influence the direction of the case. Kelley: In terms of best practices, companies should ensure they have a robust investigative function and protocol for quickly and effectively getting to the bottom of any credible allegations of misconduct. Having information from such a process will help make informed decisions at the earliest stages of a government investigation so a company can decide whether to cooperate or to fight; once you start down one of those two paths it is difficult to switch courses. Best outcomes come to those companies that can best control the narrative through their own credible and thorough investigations. This has been particularly true in the wake of the Thompson memo (a 2003 memorandum providing guidance on when to charge corporations, authored by Deputy U.S. Attorney General Larry Thompson) and its various subsequent iterations which have caused the government to rely more heavily than ever before on the company’s own investigation rather than the government’s independent investigation. Whether the government really does place a premium on cooperation that really benefits the cooperating company is open to debate generally and must be considered on a case-by-case basis. Cowie: I would say that if you have a quiet outcome – that is, your client does not get charged, or there is low visibility of the outcome in terms of publicity, you’ve done a good job. Being quiet is the hallmark of success, because all of these matters damage the reputation of a company or a senior executive who may want to move on in their career after the matter is over. If you never see me again, then we’ve done a good job. Another sign of success is when our clients, whether they are general counsel or compliance officers of companies, move in the market and pick up the phone because they have a regulatory or enforcement problem in their new role and they want you to help them. Neil Gerrard by Chris Renton. Gerrard: I think it is essential that a business conducts thorough risk reviews in foreign markets where it is active, so it can properly understand local practices and customs. Businesses need to be on the front foot with compliance, obtaining pre-emptive legal advice as early as possible from lawyers who are real specialists. Then when you create systems and processes to ensure compliance, they also need to link back to your home jurisdiction, and to the U.S. if you are engaged in international business. You cannot operate two separate compliance systems. So your lawyers need to be specialists in the U.S. and your home country, plus have the international reach to assist you elsewhere in the world when necessary. Cohen: I would advise corporate counsel engaging in global business to keep in mind the government’s emphasis on corporate compliance. Government agencies expect compliance procedures to be well drafted and well developed, but also well implemented. It is not enough to have a thick corporate compliance manual, if the company’s culture does not reflect these compliance norms. Outside counsel can assist not only with drafting compliance procedures, but also with trainings and implementation. Thus, retaining outside counsel early on is a must. The more familiarity we have with the company’s culture and needs, the more quickly and effectively we can act when concerns arise. Lawdragon: I want to go back to what David said about controlling the narrative, and what Matt said about “a quiet outcome.” Can you discuss the crisis-management element of the practice from your experience dealing with corporate raids and other traumatic events for corporations? Is it advisable to use outside crisis counselors? And how do you toe the line of being forthcoming – if this is a situation for doing so – and preserving client rights? Kelley: In no case are there purely legal issues that we have to deal with, but you also have to be very mindful of how investigative and compliance decisions impact business operations and potentially cause reputational harm. The magnitude needs to be evaluated in each case and you always need to be open to the notion of bringing in an outside media consultant. As with any outside consultant you need to be mindful of – and structure the dynamic and dialogue in a way that gives you the best opportunity to protect – the relationship with the attorney-client privilege. Matt Cowie by Chris Renton. Cohen: This comes back to my advice that businesses need to ensure they have good counsel as early as possible in any situation. Outside counsel has the advantage of being specialists with greater resources and also being more removed from the situation and, often, more able to create and implement a response without distraction. Outside counsel is also adept at balancing complex considerations such as whether the benefits of disclosure, such as cooperation credit and keeping a governmental investigation narrow, are outweighed by the merits of invoking the company’s rights and avoiding waiver issues down the road. Such decision-making requires a rapid, on-the-ground assessment which is often more efficiently and effectively done by outside counsel, providing the company the ability to continue to concentrate on providing services to their clients. Businesses need to make sure they are engaging the services of experienced outside counsel at the earliest opportunity. Gerrard: Many corporates will plan to some extent for crisis situations, but it is surprising how few properly plan for regulatory intervention. This is an area often under-resourced by corporates. It is imperative that corporates have plans to cope with and manage regulatory interaction. I was part of one of the first teams in the U.K. to offer raid training and raid management programs, and we were one of the first groups to recognize the importance of crisis public relations, and how it differs materially from peace-time PR. Black: I have managed numerous raids for various clients during my career. These have ranged from large, multi-premises raids to single office searches. It is always a high pressure, high emotion time for both the company and the authority. Mistakes can be made on both sides, so it is important for the company to have someone present who is familiar with the powers and limitations of search and seizure operations to ensure no lines are crossed. We frequently help our clients by providing raid training and putting together raid procedures to help plan for the initial stages of a corporate raid. Doing the wrong thing can be catastrophic – I have seen individuals find themselves in hot water for panicked actions. It’s best to be prepared and have a plan in place. However, I would also suggest that as part of a corporation’s raid response plan they have experienced outside counsel on hand, who can ideally be on site within an hour to liaise with the authorities and oversee the operation on behalf of the company. It is important to ensure that warrants are correctly granted and executed – and emergency legal challenges can be considered as an option. Lawdragon: Let’s talk a little bit about what separates the Dechert team. We can touch more on the global talents and cooperation, but what about the type of lawyers you have – including those with significant trial experience and also time on the other side of the courtroom? Roger Burlingame by Chris Renton. Cowie: Dechert offers a full service to clients, but it is a litigation specialist. Although we do corporate work, it is a litigation-led firm, and I think that makes us somewhat different to other top firms. When somebody has a corruption problem, they also might have other civil litigation to deal with, arbitrations or asset-freezing issues. Dechert is best placed in the market to give that full service to clients who face fraud, corruption or other financial misconduct issues. Gonzalez: Even if you are in cooperation mode and the matter is likely to be settled, the system is nevertheless still adversarial in nature. Therefore, it is essential that defense counsel has the ability to take a matter to trial if necessary. It not only ensures consistency in the unlikely event that the matter does end up in court, but also indicates to the regulators that you are not going to be pushovers. If your legal team doesn’t have that trial experience it alters the dynamic and makes it less of a fair playing field. In this area, we have a very deep bench. Our firm’s chairman, Andy Levander, maintains an active white-collar practice and has helped attract and develop a robust team of litigators. Coming through the ranks we also have the likes of Jeff Brown, Jon Streeter, and Rebecca Waldman in New York, Vince in Washington, D.C., and other younger partners across the country, all of whom are considered to be rising stars in the white-collar field. We also have a strong group of associates across the U.S. and around the world. Lawdragon: As the younger side of the practice, how has the London bench taken shape over the years? Black: I joined Dechert in London in 2011, when the London white-collar practice was in its infancy. Neil, with whom I had worked for six years, was already at the firm and I followed him to help build the team in London. When shaping the team, I have consistently looked for professionals from diverse backgrounds within the criminal law. We recruit not only from fellow white-collar firms, but also from traditional “high street” defense backgrounds, the criminal bar, prosecutors and regulators – including from the Serious Fraud Office, Financial Conduct Authority, Bank of England and the Foreign Office – as well as from in-house. Of course, we also work hard to develop and promote our own Dechert “born and bred” attorneys. We pride ourselves on leveraging these different skills when working on our cases in order to achieve the best possible outcome for the client. 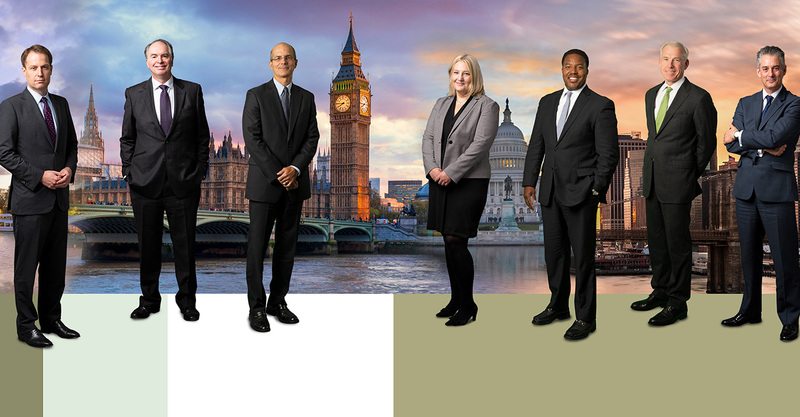 As you know, the Dechert team outside of London is also made up of attorneys from different backgrounds, including from international prosecutors such as the DOJ and SEC. This ensures we can provide a full-service team of the same strength and depth as our team in London. Lawdragon: With far-flung and dispersed white-collar issues in multiple jurisdictions, how do you bring it all together and coordinate? Gerrard: When we open any engagement, the lead partner will start by selecting a team to support the client in the most effective way. Our group is structured as a single global team, so we can draw upon professionals in New York, Washington, D.C., London, Paris, Hong Kong and Singapore. Not many firms have that breadth. We can choose the right people, based on their levels and type of experience, language capabilities and qualifications. Then we might look at specific skillsets that will really add value for a client, which will include people who have served as U.S. attorneys and assistant U.S. attorneys, and as senior lawyers in other agencies and governmental bodies around the world, including the U.K.’s Serious Fraud Office and Financial Conduct Authority. When clients have issues across multiple countries, this is where Dechert can really add value. We have lawyers on the ground in the U.S., Europe and Asia, and within all those offices the team is multicultural and multilingual. As a firm, we are structured along practice group lines, so lawyers in London, New York and Hong Kong all think of themselves as part of one team. One of our hallmarks is our ability to work with advisors in countries where we do not have an office, so we can manage the whole process for our client and deliver a single agreement. That experience in managing multi-office teams and the ability to operate in different jurisdictions is crucial. It can take years to build up the relationships with top firms and the best lawyers in dozens of places, but that is one of the benefits of being in this area for so many decades. David Kelley by Laura Barisonzi. Cohen: Dechert is a firm with a truly global footprint. Clients come to us specifically because we have the depth of experience and breadth of practice areas to solve problems and provide advice throughout the world. We have strong white-collar capability on both sides of the Atlantic, including U.S.-qualified lawyers on the ground in London. Our teams work together seamlessly to provide clients with a very high quality and consistent product. To follow on what Neil said on staffing, the same flexibility and creativity I mentioned above apply. We assess the client’s needs, the scope of the problem, any deadlines on the horizon, and whether, for instance, engaging attorneys outside the white-collar space is appropriate for a well-coordinated response, and then we staff accordingly in a cost-efficient way. Working with the general counsel, the partners will put together a staffing plan, ensuring the client receives the most appropriate level of experience for all elements of our mandate. We strive to keep our teams lean and deliver constant partner input; this ensures more effective and responsive advice, and lower bills for clients. Gonzalez: Based on these strengths, we find that a lot of clients seek out Dechert specifically for complex, high-profile white-collar work where there is a lot at stake. We currently have a cross-office team working on one of the longest and most wide-ranging investigations in FCPA history, and we are lead counsel in the largest regulatory investigation currently active in Europe. A few years ago, we were lead counsel for airbag manufacturer Takata in the largest automotive recall ever. Lawdragon: Can we conclude with any parting thoughts about the future – do you envision continued growth in the practice based on the trends that got us to this point? Burlingame: The U.S. white-collar enforcement apparatus grew exponentially in the wake of the financial crisis, and the rest of the world has realized they want to play the same game. So you don’t just have the U.S., but all the foreign regulators who have looked at the Department of Justice and said, we can do this too. It’s been a sea change for companies operating in EMEA (Europe, the Middle East and Africa) and around the world, and neither of these trends is going to end any time soon. As white-collar law enforcement in other countries begin to find their feet, we’ll see even more cases with prosecutors and regulators from multiple countries. Most big multinational companies understand the dynamic, but even smaller companies that would have thought they were well below the radar of international law enforcement are seeing how aggressive the U.S. has been and the way other countries are following suit. There are very few places left where no one’s looking at how you operate your company. Many investigations start with law enforcement, but as more and more companies realize they need to police themselves, and there are fewer and fewer companies that don’t understand about money laundering risks, bribery risks, sanction evasion risks, and so on, cases all around the world are also starting to come from self-reports. For financial markets, it’s always going to center around New York, London and Hong Kong, but banks know only too well that big problems can start in small places very far from these major centers. In the bribery space, it’s less about the jurisdiction than the businesses – healthcare, and industries like mining, oil and gas continue to draw a lot of attention. Gonzalez: Yes, I do see potential for significant growth in this area. As I said, in my practice I have noticed large Latin American economies like Brazil and Mexico taking these issues much more seriously. The new Mexican government has a focus on corruption, and has enacted new anticorruption regulations, and I believe they will be eager to showcase early results. But even with these efforts, there is still plenty of room for maturation and a need to develop stricter compliance and enforcement programs across Latin America. Even if these initiatives are focused internally within a country, many companies in the region will still look to firms with substantial experience with the FCPA and the U.K. Bribery Act, since the benefit of that experience will help as companies navigate regulations like this for the first time. Kelley: I think it will grow as business grows, but whether enforcement agencies continue to be as aggressive as in years past will depend on the appetite of a particular administration for enforcement and the rule of law. As always, I think the biggest challenges for multinational companies will remain in heavily regulated industries with multiple government touchpoints as well as emerging economies. Cohen: The more the market develops in a globalized way, the better positioned Dechert is to provide the best advice possible to clients. Since arriving at Dechert, I have been very impressed with how there is a uniform work ethic and level of expertise in all of our global offices. Also, the fact that Dechert is structured by practice group, regardless of office location, helps to make sure we are integrated and work together effectively around the world. It is very important for me to know that when I reach out to colleagues in other countries, our client will get timely information and a consistent and high-quality service.